The Antiquities Coalition strongly condemns the recent murder by ISIS of the world renowned scholar, Khaled al-Asaad. Dr. al-Asaad died protecting the very history that he has worked his whole life to excavate and conserve. 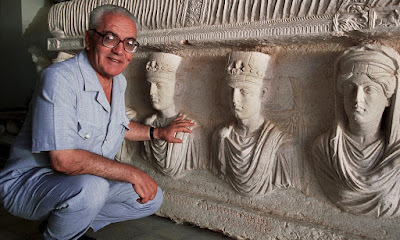 His pioneering work in Syrian archaeology led to uncovering the treasures of Palmyra's rich past for Syria and the rest of the world to enjoy. This deplorable action is yet another aspect of ISIS' continuing campaign to use cultural heritage as a means to intimidate those that practice different faiths and share different ideologies. It is important that the international community stand together in the fight against cultural terrorism and cultural cleansing. Our heartfelt condolences go out to the Dr. al-Asaad's family, friends and colleagues.